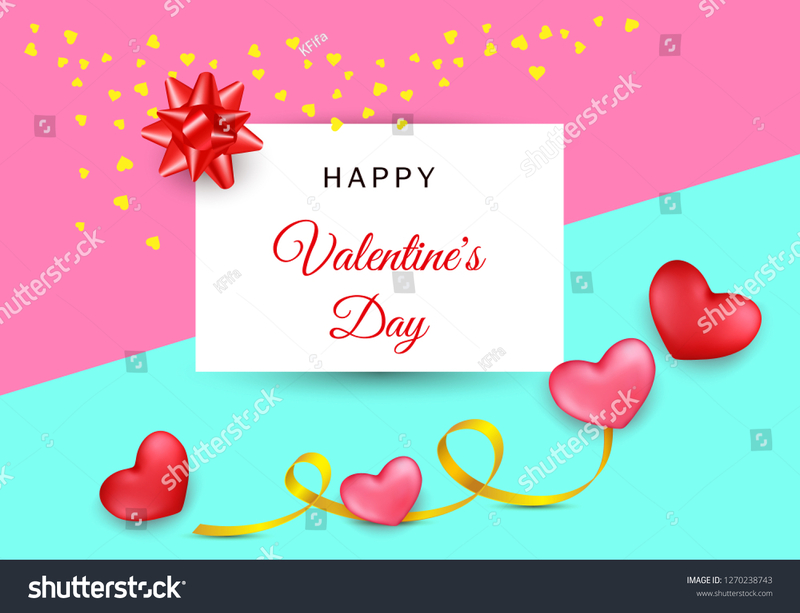 Valentines day festive composition with two red, rose hearts with golden stripe and red rose petals flowers on a colorful abstract background. Top view vector illustration. Mother day Banner design.